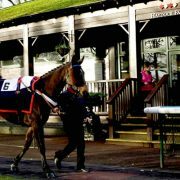 Whiskey Chaser was back at Haydock Park for his third outing at the course in four months. 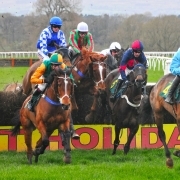 The race was the ‘Howdens Joinery Veterans’ Handicap Chase’. It was run over a distance of 2¾ miles, a shorter distance than usual for Whiskey Chaser. 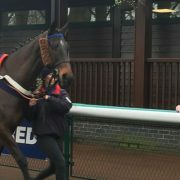 The line-up included Venetia Williams veteran chaser Katenko, it total nine horses came under starters orders. 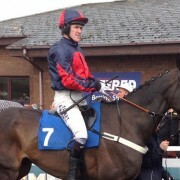 The pre-race favourite (4/1) was Jonjo O’Neill’s SpookyDooky, with Whiskey Chaser priced up at 13/2. Whiskey Chaser tracked the leaders during the early phase of the race. At the 14th jump, he got his nose into first place. 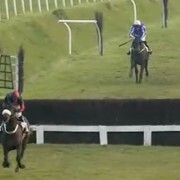 Two fences out he started to lose ground and slipped into second. 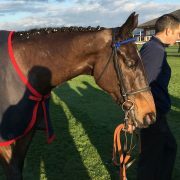 At the last fence, he was beaten into third place but he held on to finish in places. All in all a decent performance, finishing in the money is always a welcome bonus. Where There's A Will There's A Win!